William R. “Bill” Hough ascended to the top of the business world as founder of William R. Hough & Co., an investment bank based in St. Petersburg he guided for 38 years. The company was the No. 1 bond management enterprise in Florida, underwrote a significant portion of the state’s issues and played a major role in developing the state’s infrastructure. 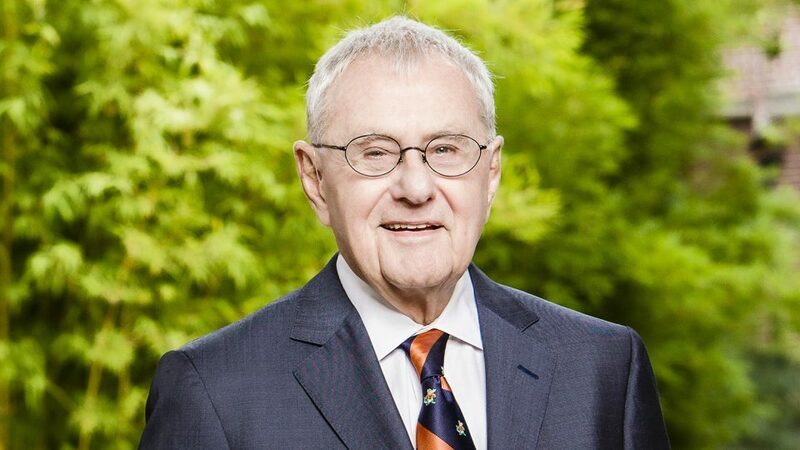 In 2004, the company merged with RBC Dain Rauscher Inc.
Hough Hall bears his name after his $30 million gift to the University of Florida in 2007. Mr. Hough has been a frequent contributor to the College’s development. In 2001, Mr. Hough donated $1 million to create the William R. Hough Program in Finance, a one-year, specialized master’s degree that serves as an alternative to the traditional MBA for those who have a specific interest in finance. Mr. Hough gave an additional $500,000 to strengthen the finance program in 2004 and again contributed $1 million in 2005 in response to UF President Bernie Machen’s Faculty Challenge. He serves on the College’s Business Advisory Council and the UF Foundation Board.